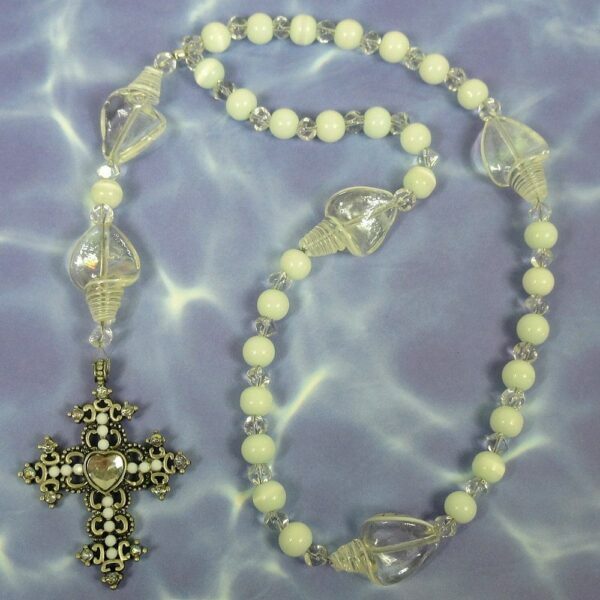 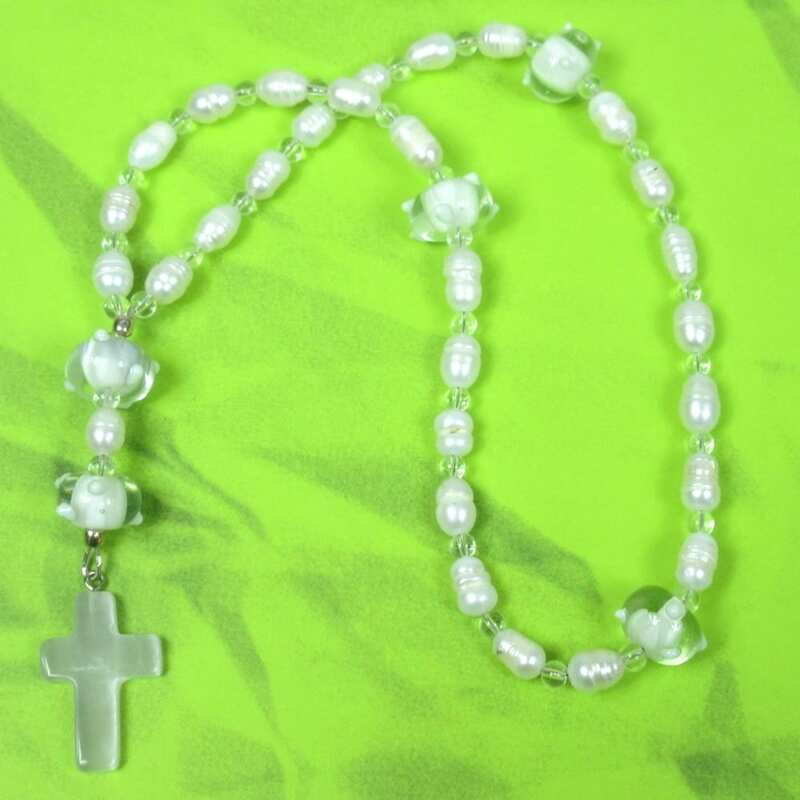 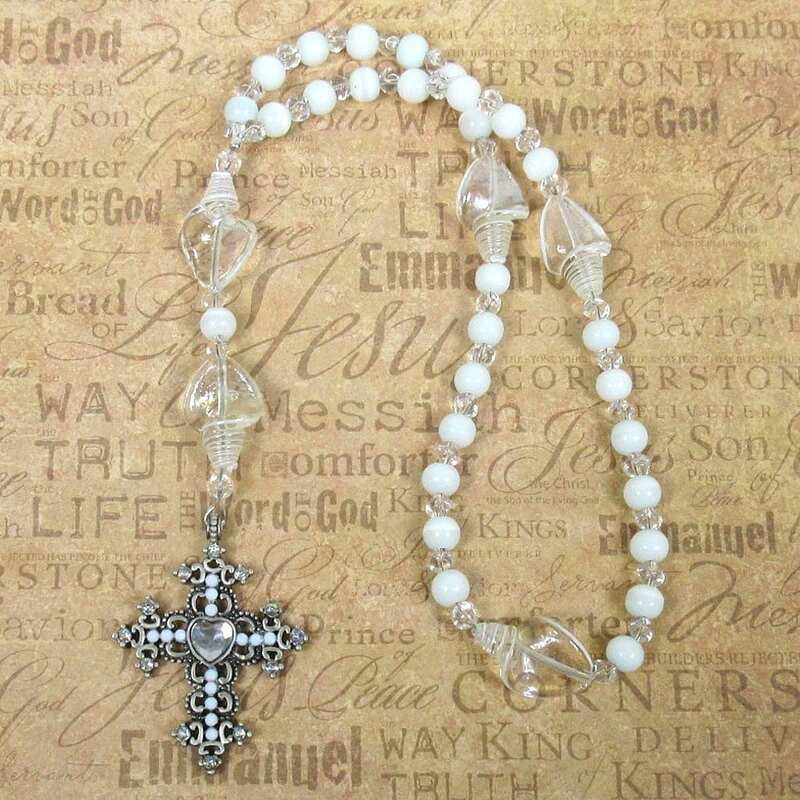 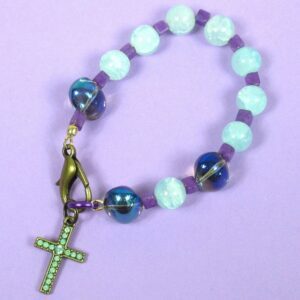 Lampworked glass shells, white glass beads, and a heart-centered pewter cross grace these Protestant (Anglican) prayer beads by Kristi Lyn Glass. 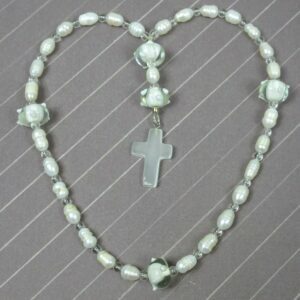 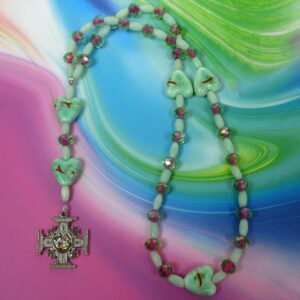 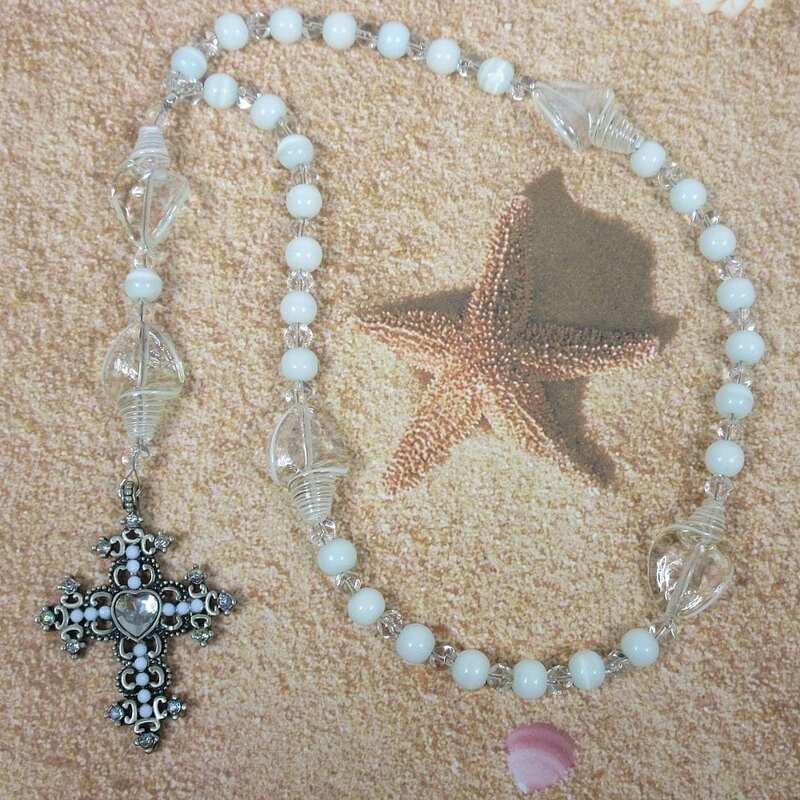 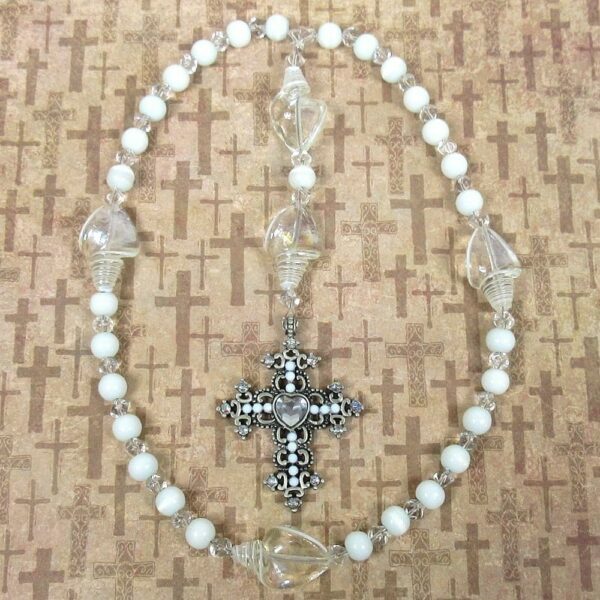 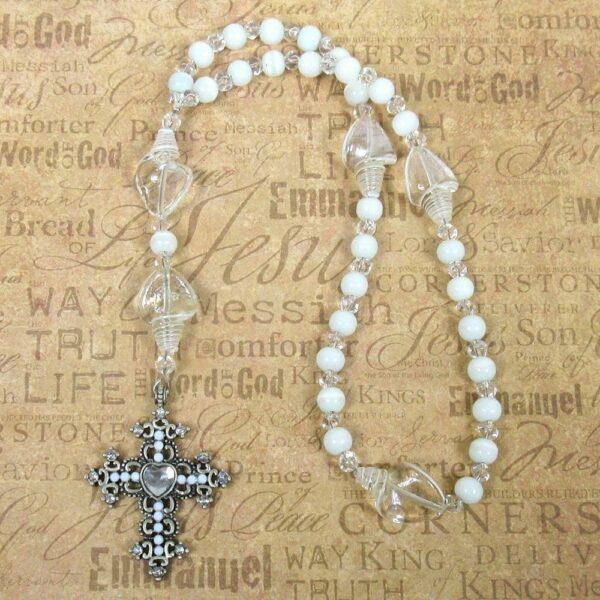 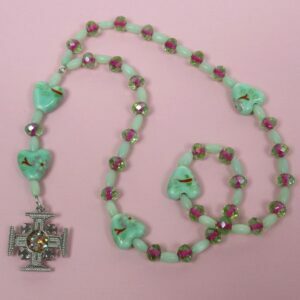 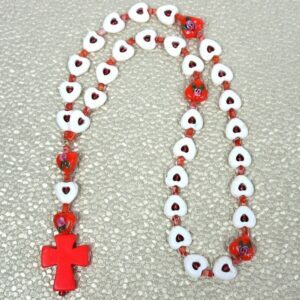 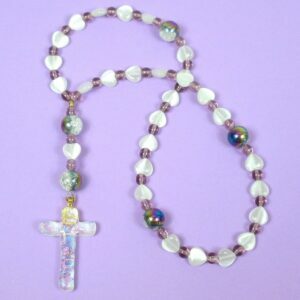 Lampworked glass shells, white glass beads, and a heart-centered pewter cross grace these Protestant (Anglican) prayer beads. 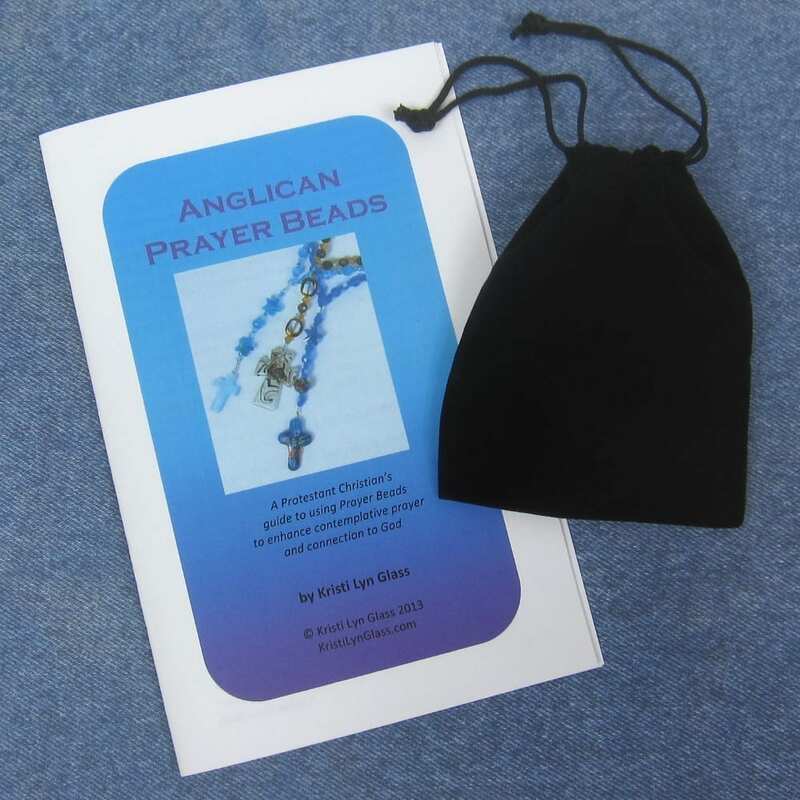 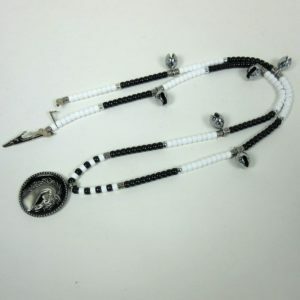 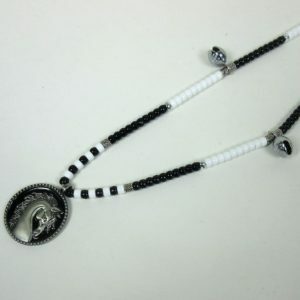 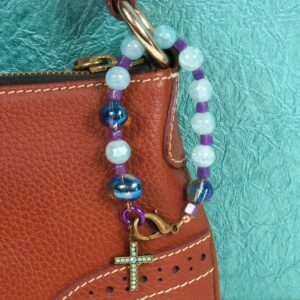 Purchase of these prayer beads includes a velveteen storage pouch and a 16-page “Anglican Prayer Beads” full color booklet by Kristi Lyn Glass. 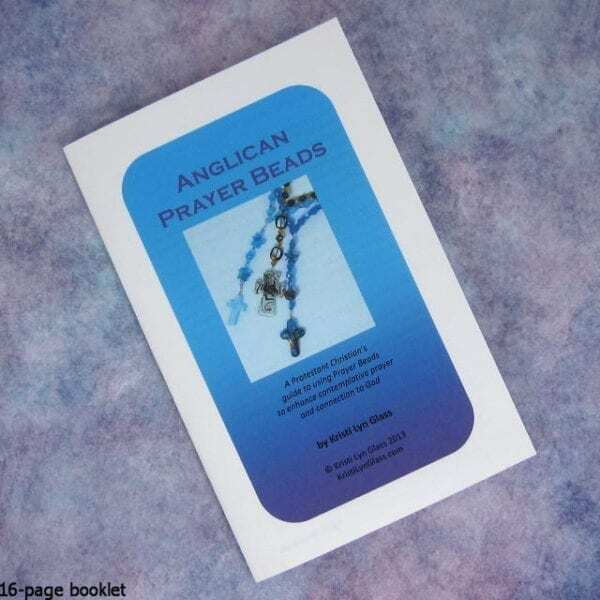 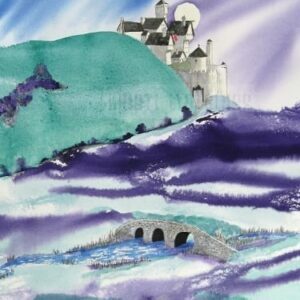 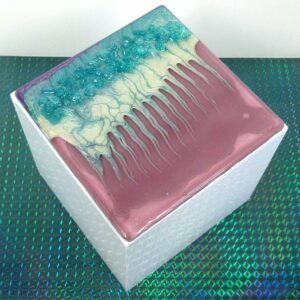 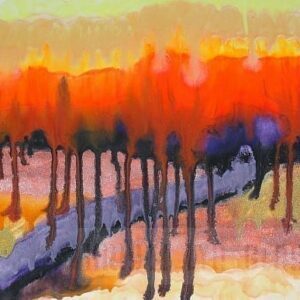 The booklet contains pictures, history, symbolism, instructions, and nine sample prayers. 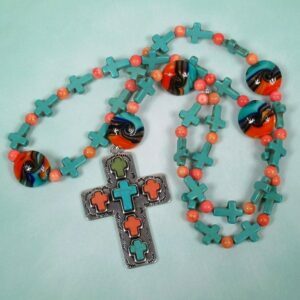 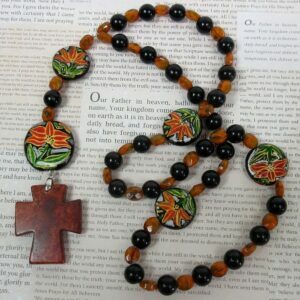 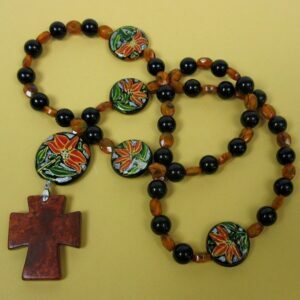 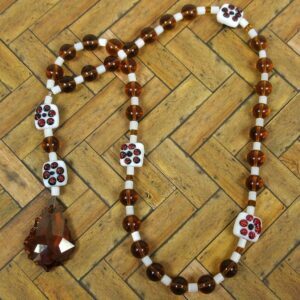 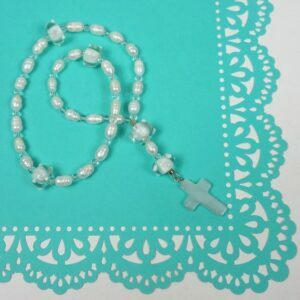 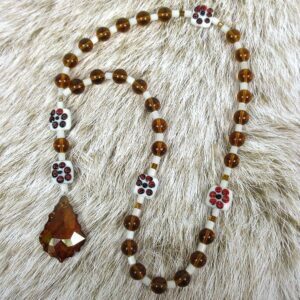 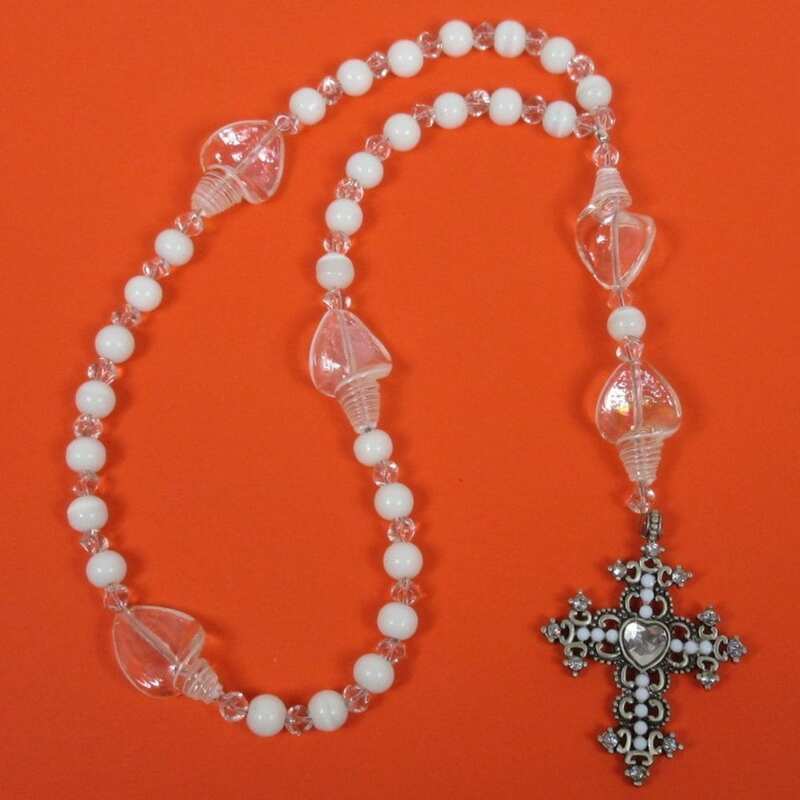 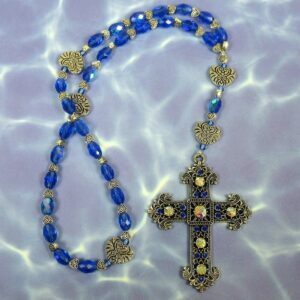 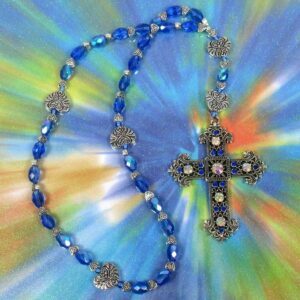 Protestant (Anglican) prayer beads are similar to a Catholic Rosary (which has a set pattern for its use). 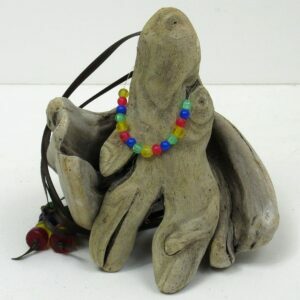 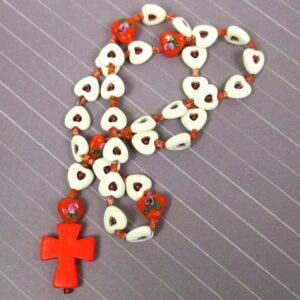 However, Protestant prayer beads have a different pattern for use in any way you like. 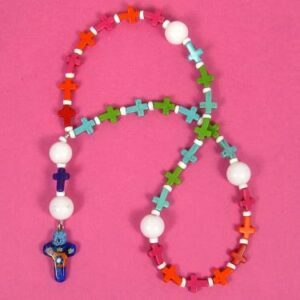 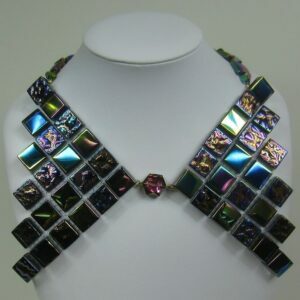 The prayer beads’ circlet has four sections containing seven medium-sized “Week” beads. 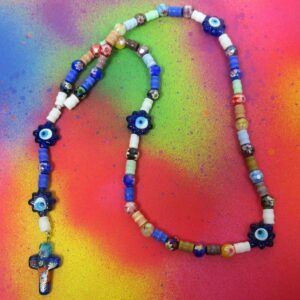 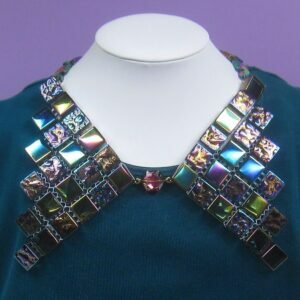 Larger “Cruciform” beads mark section divisions. 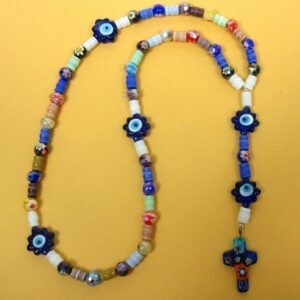 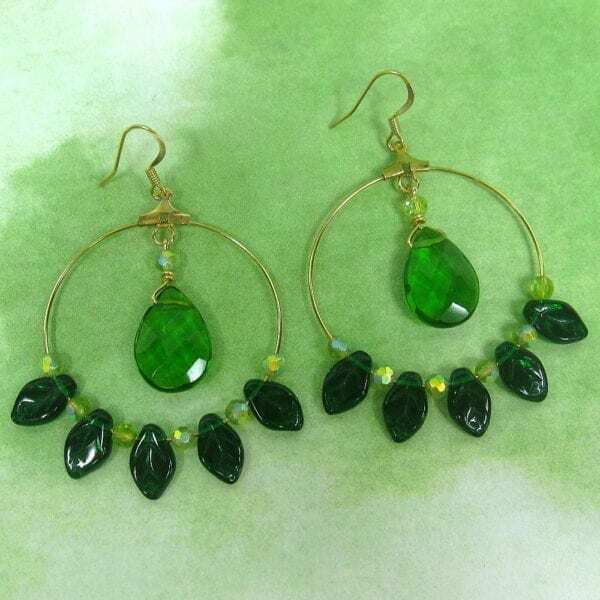 The circlet begins and ends at the tail, which contains two Cruciform beads flanking another of the medium-sized beads. 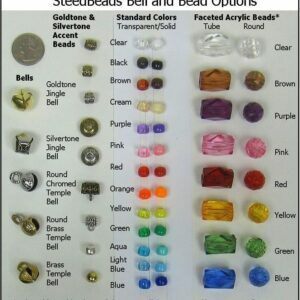 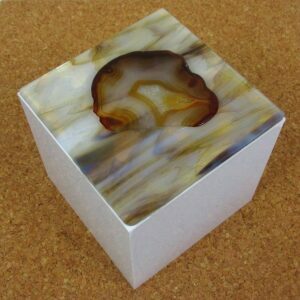 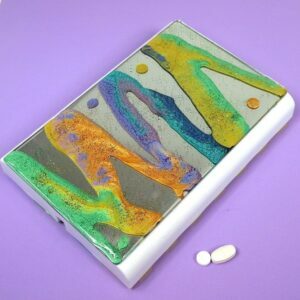 You may use that bead as a resurrection/listening bead. 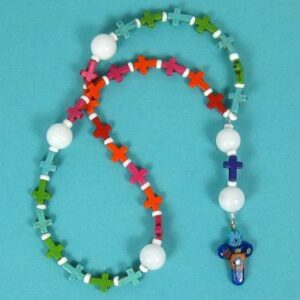 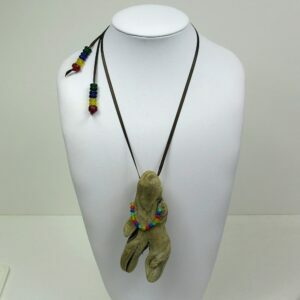 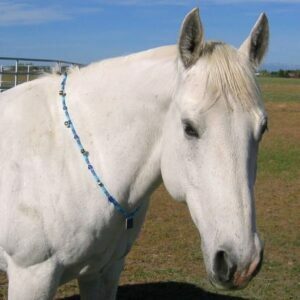 A cross or other symbolic pendant at the tail’s end marks the entrance and exit for the beads’ prayer pattern. 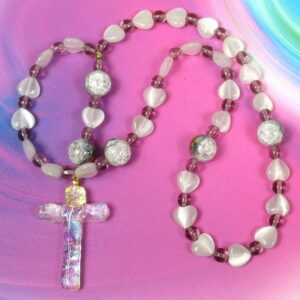 Lifetime Guarantee: If your prayer beads become unstrung at any time, don’t worry! 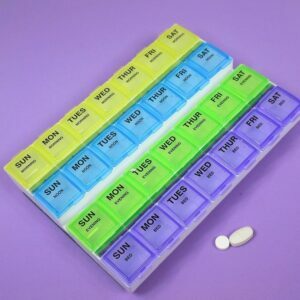 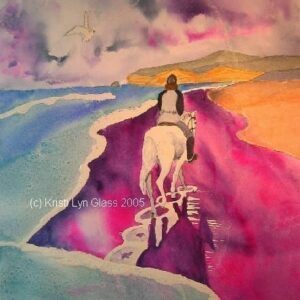 Simply return all the components to Kristi Lyn Glass. 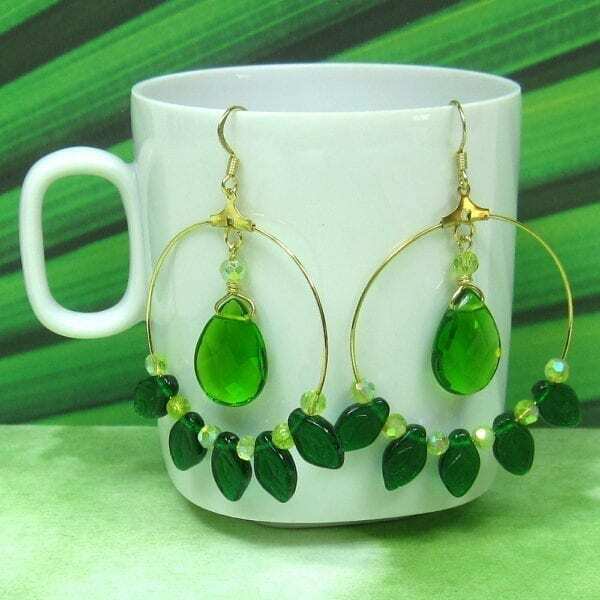 She will restring them for free.